As owner operators, Joseph, Mayumi and Helley welcome you to Geraldine Motels, situated on the south side of the Geraldine town centre. Geraldine Motels offer warm hospitality together with clean, comfortable, self-contained accommodation within 200 metres of restaurants, cafés, a movie theatre and shops. We offer free WiFi to guests and pets are welcome by arrangement. 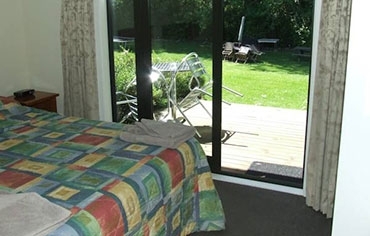 Geraldine is located in South Canterbury along the Scenic Touring Routes. Enjoy the unique country village atmosphere and the wide range of cafés, galleries and shops. 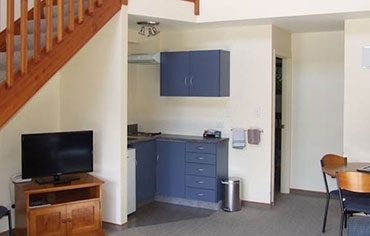 Geraldine Motels are just a short walk to the bowling green, tennis courts, heated swimming pool, parks, domain, museums, and bush and river walks. Two golf courses are just 5 minutes drive away. We are situated 1.5 hours drive from Christchurch airport and 1.5 hours drive to the skifields. 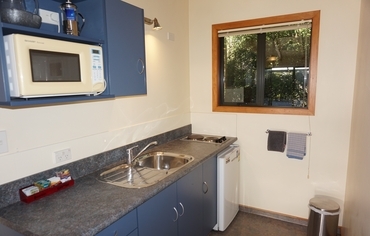 The large park-like garden behind the units borders the Waihi River and is an excellent place to relax.